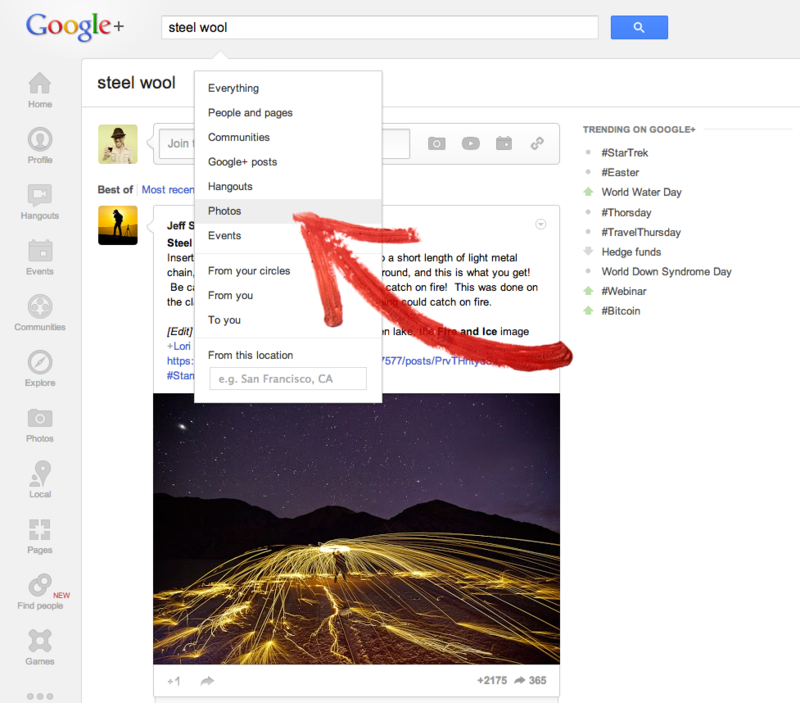 Google announced today on Google+ that users of its social network can now utilize a new search filter. Now, search queries can be filtered so that they display photo only posts — nothing about Google+ Hangouts, communities, events, or status update-like posts, just photos. Back in 2011, Google’s social head Vic Gundotra said during the Web 2.0 Summit that there were over 3.4 billion photos shared on Google+ within 100 days. Photographers seem to enjoy using the service since it’s much more social than what they’ve come to expect from Flickr. Additionally, Google has made it easier to post photos, with auto-uploading capabilities with its mobile apps and also importing through Google Drive.